It’s been a little over a year since I released Kinsale Kisses, the first of my indie projects. I hadn’t really intended to be fully indie from that point forward, but due to various circumstances, that’s what ended up happening. And while I haven’t had the landslide year that others have, it’s been a good year of learning. 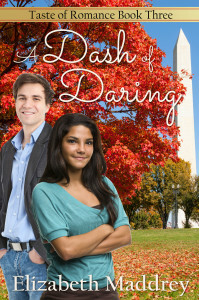 The latest thing that’s been giving me a chance to interact with readers is the release of A Dash of Daring. This is book three in my Taste of Romance series and is the story of Zach and Amy who, if you’ve read books one and two, you’ve met briefly. I’ve had a handful of people write and ask why the series is called Taste of Romance. All of my books (this series and previous ones) tend to focus on one (or more) issues that face Christians today as they try to live in the world without being of the world. In the Taste of Romance series, there’s always at least one food-related issue that comes up, in varying levels of importance to the plot. Thus the series title. Another thing that’s come out of my interactions with readers this year is the decision to extend the Taste of Romance series past the traditional three books. 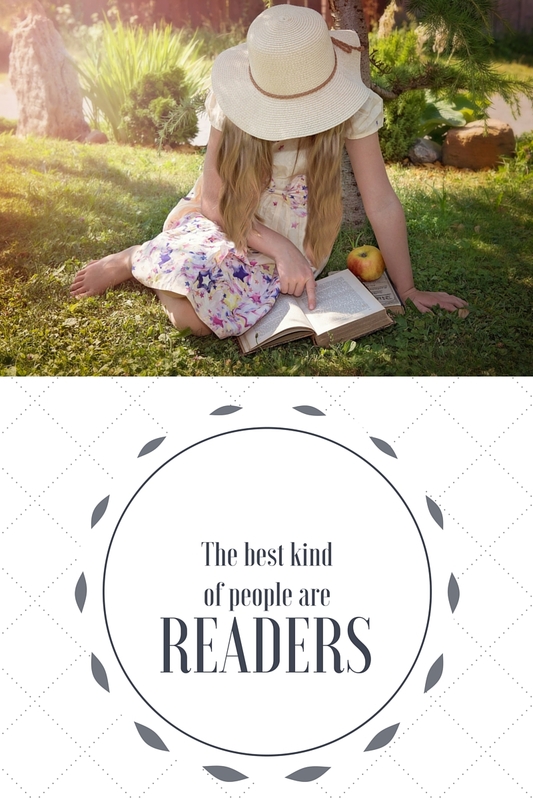 I’ve had a couple of wonderful readers mention how much they enjoyed Rebecca’s friends, Sarah and Jen, from A Pinch of Promise. And, since both of those lovely ladies are currently single, they’ll be picking up their own books in 2016. Of course, this means I need to come up with some additional titles that fit into the format of cooking measurement term plus adjective (as in A Splash of Substance, A Pinch of Promise, A Dash of Daring.) If you have suggestions, I’d love to hear them! Finally, readers have written to mention how they enjoy the cameos of characters from my other books that crop up in this series. (And really, that happens in all my books so far — I basically have one big world where all my books take place. So you never know who you’re going to run into.) And you know what? I love that readers have noticed! Hmmm–How about A Cupful of Caring, A Liter of Love, A Bite of Beauty, An Ounce of Outrage, A Scoop of Secrets, A Tray of Tenderness, A Fistful of Friendship, A Gallon of Glory, A Dollup of Destiny–Okay It is past 1:30 A.M. in CA, so I’ll quit. I enjoyed your post!! Happy Thanksgiving!! Oohh, those are some great suggestions, thanks! Oops, I forgot to mention what I am thankful for. I am truly thankful that my family is healthy! That is definitely something to be thankful for – I have one kiddo battling a stomach bug right now. Poor baby. Um…. a Smidge of Serendiptiy? An Ounce of Oomph? Sorry, Elizabeth, at 6 a.m. that’s all I’ve got! Oh goodness! I’m so glad y’all are okay. Deer meets car is a scary thing! A Moment of Mischief, A Laugh of Love, A Pea in a Pod. :-) Those are just a few that come to mind right now. I am thankful for my family. :-) Happy Thanksgiving! Those are cute ones! Family is an amazing gift from God, isn’t it? Aww, thanks :) family and friends are such blessings! Thanks for the suggestions! I am thankful for my family! The only title I can think of is a Pint of Playfulness. Have a great Thanksgiving! It’s so fun to see everyone appreciating family! Thanks :) As for having nothing…that’s why I’m asking! I’ve come up with some horrible ideas like A Tad of Trying or a Tad of Tact. (I really think it’s “Tad” that’s killing those, it’s just a weird word.) I’ve been kicking around A Handful of Honesty and A Heap of Hope. But with both of those, the different “H” sounds seem jarring to me. Titles are my Waterloo. I’m thankful my great-nephew is with us for Thanksgiving this year. He’s 16 and just got his driver’s license! I’m no good on titles either, and all I could think of was Soupcon of Silliness (it’s supposed to have that little thing under the C, but I don’t know how to do it! The dictionary definition had “soupcon of suspicion” in its explanation). I am lousy with titles! Something I’m not thankful for. But I am thankful for sunshine today, for my family and for the fact that up here in Canada we have much longer to recuperate from Thanksgiving before we hit Christmas. But I’ll offer up some suggestions anyway – A Teaspoon of Thanks, A Dollop of Dreams, An Hint of Heaven, And Ounce of ‘Ope (if you were English), A Gallon of Grace, A Quart of Quirkiness? And I’m tapped. Looking forward to seeing what the new title is. Dollop has distinct possibility! Thanks. :) and sometimes I wish we had more time between Thanksgiving and Christmas, but then I think, what better way to kick off advent than giving thanks for all the many blessings in my life? A good husband is a blessing beyond compare! I love the title suggestions so far. I’m thankful for technology. Via Skype I’m able to visit with my daughter and her family who live in Japan. So much fun having my grandson grab my daughter’s phone and bring me along to play with him. He’s three years old. Oh, so fun that you get to play with your grandson in spite of the distance. That’s lovely! I’m thankful for my husband and children! I really enjoy it when authors create their own little communities and the characters are spread throughout a series. I am thankful for the gift of faith. I’ve had quite a few challenges in the past several years and it is my faith and good friends who have seen me through it all. I just got married this past April, and my husband is such a blessing! SO thankful for him. I’m thankful for my family, especially since my children all became married this year, ahhh empty nest (sigh). I think a possible title could be “A Sprinkle of Spice.” Thank you, I am a huge Inspy fan! Oh, I like that. And congrats to your kids getting married – what an exciting new stage of life! stands by me, loves me and makes me laugh. Oh that’s lovely, Linda. She sounds special. I am thankful for my husband, who is home after being out of state for 6 weeks. I’m also thankful that my family could visit for Thanksgiving (I usually see them twice a year).